Would you ever consider buying a weather station for your own backyard? Netatmo makes that a reality for smartphone owners who really care about a specific location’s weather details. The company is also hoping that athletes will buy into the idea that weather can have a huge impact on their performance. The Weather Station is a set of two modules, indoor and outdoor, that measure air quality and send the information to a paired smartphone app. Additionally, rain and wind gauges are available for purchase. The goal of the Weather Station for athletes is to help them decide when the best time is to train for outdoor sports. Sailors might use the wind gauge to find the best time for high winds and any field sport athlete might use the rain gauge to decide if there’s too much water in the ground to practice. Jolivet says they are working with a French sailor who will be competing in a worldwide race using the Weather Station. They did not name who the athlete was. Additionally, they have partnered with a golf course in Roquebrune, France to help the staff take better care of the course. They also use the Weather Station to provide information to potential golfers about course conditions. 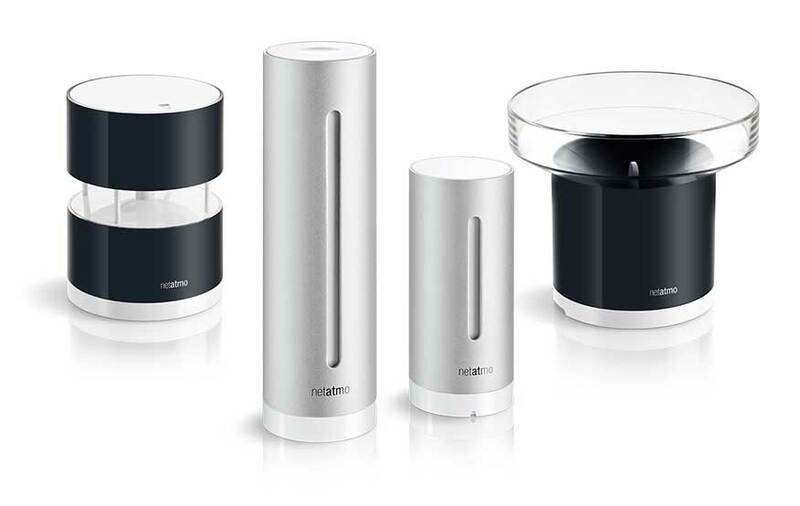 Netatmo also uses its worldwide network of personal devices to create a Weathermap.